Motor oil is an essential lubricant. Its main function is to lubricate the moving parts in your engine. It also cleans, inhibits corrosion and cools the engine, by carrying heat away from those moving parts. 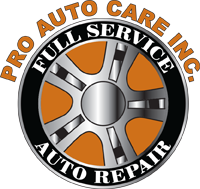 For years, the accepted interval for oil replacement and filter service has been every three months or 3000 miles. Improvements in oil chemistry and engine design technology have allowed for longer oil change intervals; typically it’s anywhere from 4,000 to 10,000 miles for most vehicles, depending on the specific oil type (full synthetic vs. synthetic blend). Failure to follow recommended service intervals may cause your engine to work harder, eventually leading to premature wear and possible engine failure. From a safety standpoint, failing to change your oil isn’t likely to pose a problem for you or other motorists. From an environmental point of view, maintaining your vehicle according to the manufacturer’s recommendations and your current driving conditions will result in a vehicle that runs better, with lower exhaust emissions and a smaller carbon footprint.